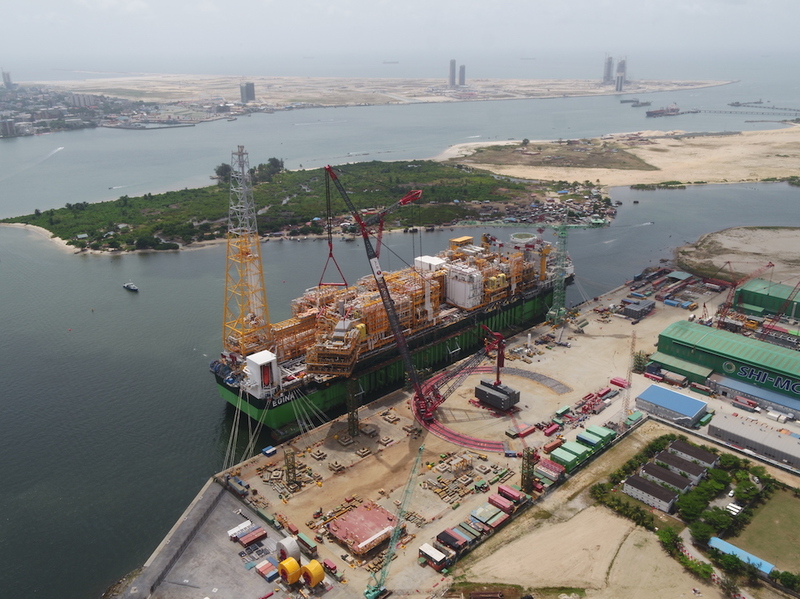 ALE company just broke a word record performing one of the heaviest ever land based crane lifting operations of 2810t on Total’s Egina FPSO module integration project in Lagos, Nigeria. On this project, Ale was mandated to lift and install six modules from the field onto their final position. The operation has been successful thanks to the AL.SK350 crane. This model has a 124m main boom configured with a 38m jib for additional outreach. Lifting operations took place throughout March and April. 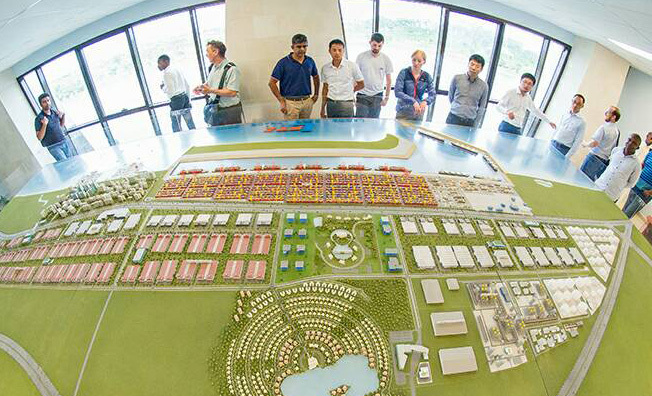 The CMA CGM French groupe, one of the maritime transport leader worldwide, just signed a memorandum of agreement with Lekki port LFTZ Enterprise (LPLE) to operate the future container terminal of the Lekki port, planned upon completion in 2020 in Lagos, Nigeria. Through its subsidiary CMA Terminals, the company will be in charge of the marketing, operations and maintenance of the future Deep Sea port. 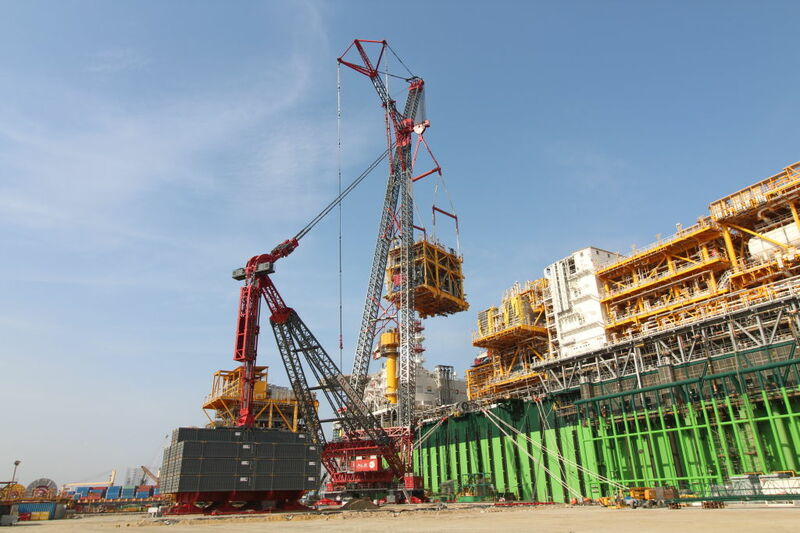 For the first time, an innovative heavy duty jib has been used by Ale for a FPSO module integration project in Nigeria. To complete this task in Lagos, Ale’s crew settled one of the world’s largest land based crane : the AL.SK350. In its biggest configuration, the machine had a 124m main boom with a 38m jib for additional outreach. 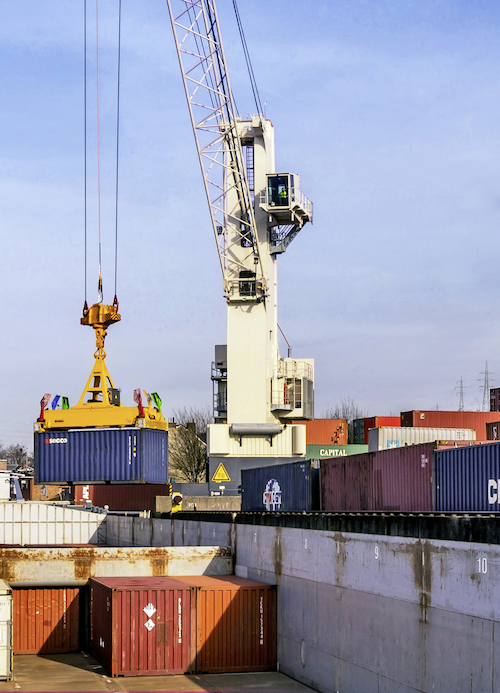 This crane is also equipped with a 49m radius ballast as well as a heavy winch system. On this project the company has been contracted in order to lift and install six modules from the yard onto their final position on the FPSO. Several modules weighed between 335 ans 3000t. The new heavy duty jib, built in 2016, has an innovative design with a « wide strut top that can be assembled in different configurations », according to the company. It can lift up to 3400t and be configured up to 100m long. « Following successful tests lifts up to 3403t, using the jib configured with 100m outreach, we were happy with the results and rigged the crane with a mast over 162m long and the strut to a length of 35m », stated Jan Oomen, Ale’s Senior Design Engineer.